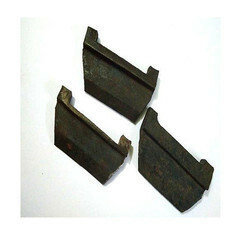 We are a leading Manufacturer of metal liner from Ahmedabad, India. With desire to cement our reputation in the market, we are engaged in offering an excellent range of Metal Liner. The offered liner is manufactured by our proficient professionals by utilizing superior quality raw material and cutting edge technology in compliance with industry norms. Our quality experts test this liner against different quality measures so as to maintain its durability. Moreover, customers can avail this liner from us at market leading prices.